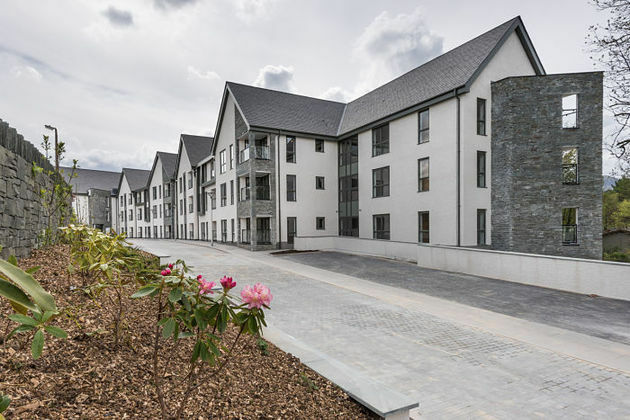 More than 450 local people attended a special preview day at Your Housing Group’s Greta Gardens retirement living scheme on Crow Park Road in Keswick on Friday 8 May. The day included tours of the new facilities including the spacious apartments, the communal lounges, pamper bathroom, assisted bathroom and the bistro, hairdressers and beauty salon. Residents will start moving in to the four storey £9m development from the end of the month and for many, it was a first chance to get a glimpse of their new home. Visitors were able to see the high standard of fixtures and fittings and interior decoration and view the modern kitchens complete with oven, hob and extractor, stylish wet room and spacious living space. The 69 one and two bedroom retirement living apartments for local people aged 55 and over, include 34 for affordable rent, 18 for shared ownership and 17 for outright sale ranging from 820 sq ft for a two bedroom and 640 sq ft for a one bedroom. Viewings are by appointment only. To book an appointment to visit the show apartment call Your Housing Group’s sales team on 0845 618 5008.